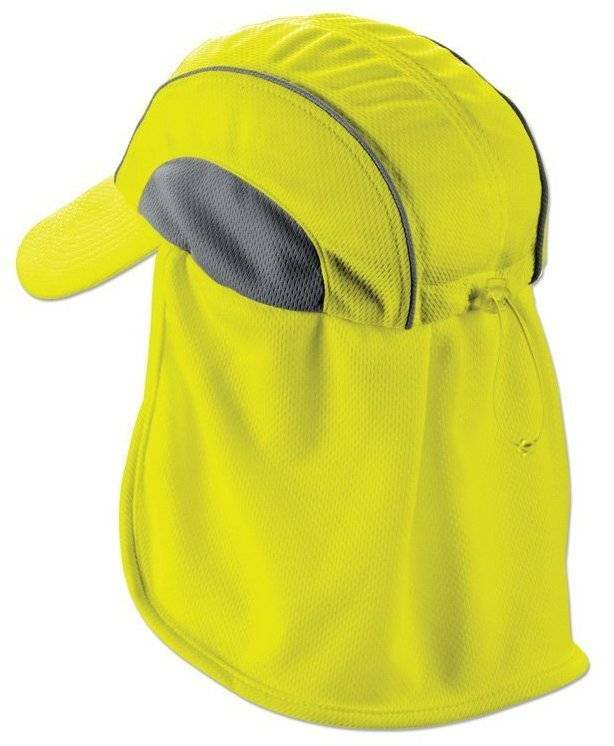 High-Performance Hat w/ Neck Shade: Machine washable hat in hi-vis colors transports moisture away from skin. When you need to absorb the blow of a furnace worth of summer swelter, Chill-Its Absorptive Series sop up the sweat with a style all their own. Take control! Manage your moisture and temp now! The Chill-Its Absorptive Series includes terry cloths, sponges, elastics and High-Performance technical fabrics. 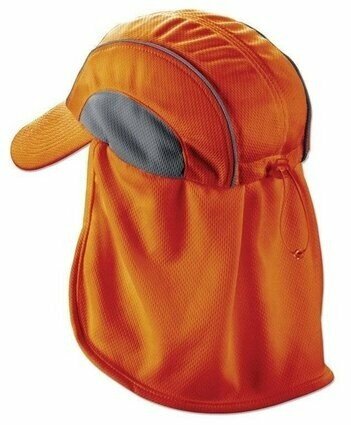 All are meant to trap or move sweat, keeping it out of your eyes and off of your hands. Hey, sweaty palms and stinging eyes have never been a safety positive.